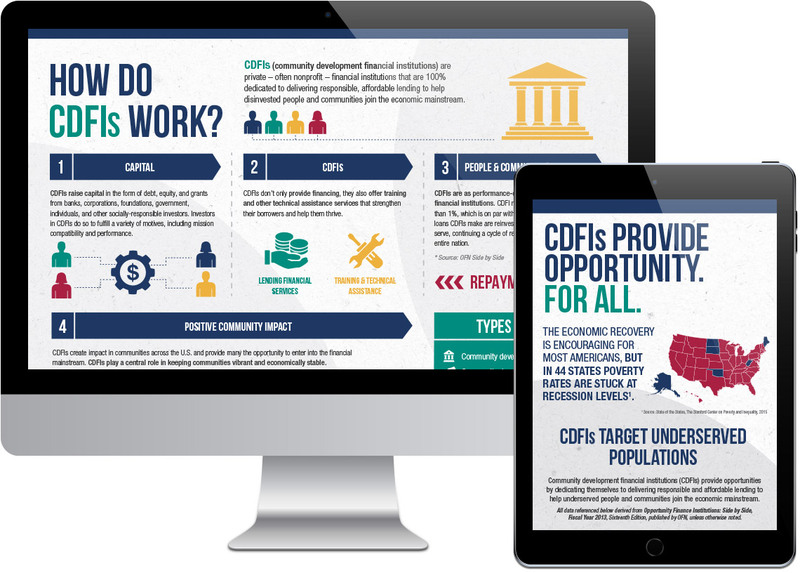 OFN, the leading national network of CDFIs (community development financial institutions), shapes policy, conducts research, and creates partnership and programs that help members deliver high impact in financially stressed communities. They came to us for a series of infographics that would tell a complex financial story in a simplified, easy-to-digest format. These infographics leverage a bold color palette and stylized icons.